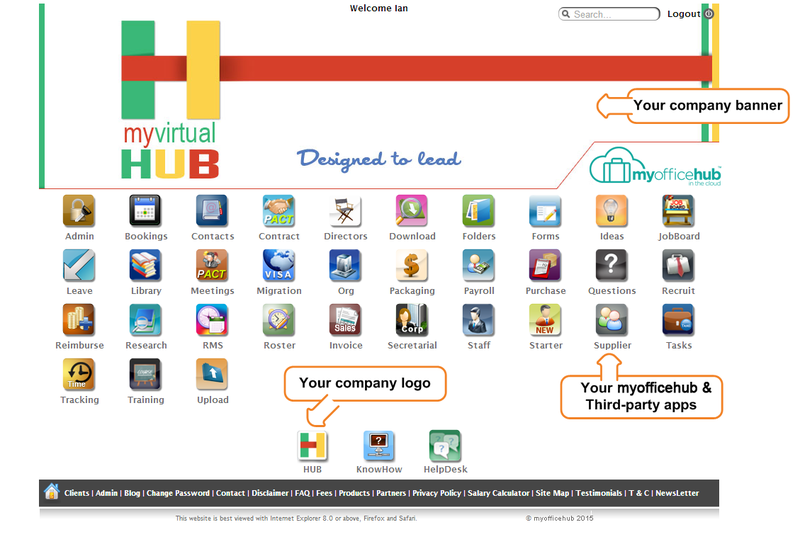 is a HUB office platform that contains information and functionality that acts as your office in the cloud. It aids individuals, professionals and business owners in managing Administrative and HR functions like contract management, accounting functions – order management, invoicing and reimbursements, document management & sharing, projects & tasks, roster, timesheet and leave management, all from one common platform. has a permission driven database which allows you to determine what apps each end-user gets and also what modules of the app they get. This gives management control like they have never experienced before which is not achievable from providers using individual apps. , end-users will have the spirit & confidence of having their own look, feel and branding integrated with the applications. platform comes with 60+ integrated apps to choose from that have unique features that finally give your business the innovative and time saving features you have been asking for. apps are customisable to exactly suit requirements specific to your business.